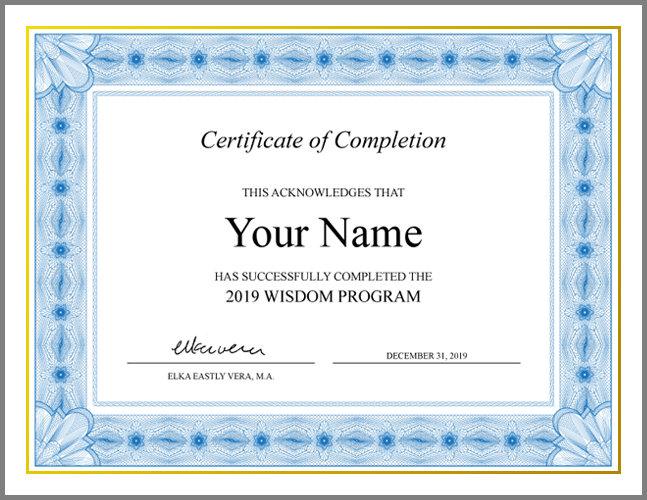 2019 Wisdom Program — Elka Eastly Vera, M.A. A year-long journey for women to develop their spiritual, transformative, and intuitive capacities. Registration for the 2019 Wisdom Program is closed. This year-long spiritual mentorship program will help you deepen your intuition, connect with your personal power, and access “alternative” ways of knowing. You will explore energy work, universal principles of transformation, feminine archetypes, connection with nature, and community deepening. But most important: you will grow in your relationship with yourself. Registration for the 2019 Wisdom Program is closed. Please be sure to join my online community for information about future programs. The Wisdom Program is an immersive 12-month spiritual development course for women. It takes place online, giving you the freedom to be anywhere in the world. Although we are at a distance, your cohort is an intimate circle of women whose connection grows as the journey deepens. 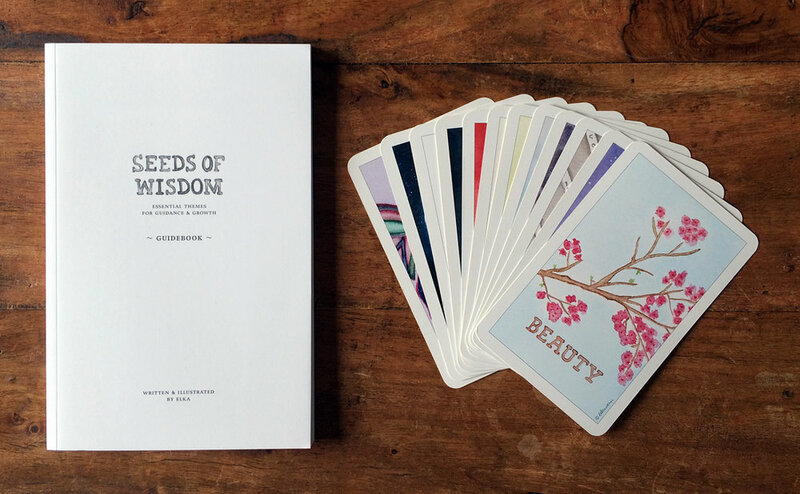 The 12 themes of my Seeds of Wisdom oracle guide each month’s unfolding. During the program, you will expand your intuitive awareness, deepen in your spiritual practice, and learn tools for self-care and energetic autonomy. You’ll also open up pathways for expanded creativity and prosperity. This year-long spiritual journey is an adventure in soul discovery and expression. It is a convergence of energy work, universal principles of transformation, reclamation of the wise and powerful feminine archetype, and community deepening. Since it’s a spiritual program, we will work often in the subtle realms, sensing the unseen. With intuition as a central methodology, our practices will cultivate our direct perceptions. We will be creating sacred space, shaping energy, and using “priestessing” skills, not limited to a singular religious affiliation. The Wisdom Program will hold space for women with a range of traditions, inviting you to clarify your beliefs on behalf of our own personal spiritual development. Topics will be engaged within the 12 Seeds of Wisdom themes: Beauty, Chaos, Creation, Darkness, Gaia, Initiation, Light, Life Force, Mystery, Paradox, Rebirth, and True Self. Monthly group meetings introduce the theme for each month. We will use a variety of transformative processes to engage the theme including guided visualization, active energy meditation, deep writing, and creative reflection. Participants also get the opportunity to hear from each other and develop active listening and space-holding skills. Our first monthly meeting is January 5, 2019. See the calendar below for all 12 meetings, plus a final completion call. For the sake of privacy, monthly meetings will be recorded only if the entire group agrees to it. Daily practice provides the consistency needed to anchor spiritual development. Think of these 15 minutes as your own private temple or sanctuary in which you connect with the divine in you. Your daily practice will be unique to you — it may take the form of meditation, exercise, a walk in nature, art-making, writing or some other meaningful way you can connect with yourself. The form itself can change, but the intention remains the same: 15 minutes a day every day for a year of sacred time to nourish your soul. Your daily practice begins January 1, 2019. You will be provided with guidance prior to our first group meeting on how to begin your personal daily practice. Weekly homework keeps you engaged with our monthly theme and accountable to the process. Homework might include reflecting on a piece of writing, creating an altar, spending time in nature, doing a specific spiritual practice or self-care activity, making a challenge for yourself and meeting it, doing a Seeds of Wisdom card reading for a friend, and other relevant (and manageable) activities that help you deepen with the monthly theme and/or with a specific transformative skill. Participants turn in their homework by posting to a secret Facebook group in shareable forms relevant to the assignment itself. For example, if the assignment is to make an altar, then you’d turn in your homework by posting a photo of the altar. First homework will be assigned December 30, 2018 and due prior to our first monthly meeting on January 5, 2019. Every week, you and an assigned partner will connect via phone (or any other real-time voice-to-voice technology you prefer) for a brief conversation. The call should be at least 10 minutes long — enough time for you both to have a quick check-in. (If you and your partner would like to connect for longer, you certainly may, but only if that’s agreeable to you both.) You will partner with the same person for a month and will be assigned a new partner at the start of each month. The primary purposes of the weekly partnership are to maintain a sense of connection between monthly group meetings, to give you a chance to be witnessed in your process, and to give you the opportunity to practice some of the skills you’ll be learning each month. You will be assigned your January partner and expected to connect with her before our first monthly meeting on January 5. All Wisdom Program participants receive an hour-long mentorship call with me every quarter. During our 1-to-1 calls, we may address whatever themes and topics are relevant to your journey. It’s your time to be used in whatever ways advance your soul’s agenda. The tuition for the 2019 Wisdom Program is $199 per month with a $199 non-refundable registration fee. Tuition will be be billed automatically via Paypal subscription. Alternately, you can pay for the entire program when you register for a total fee of $2,199 — a savings of 15%. Space in the Wisdom Program is limited to 12 participants. Early registration is strongly advised. then we will schedule a 20-minute introduction call to discern if the Wisdom Program is right for you. you are welcome to register at your convenience before registration closes on December 21, 2018. Or click here to set up a discernment call. 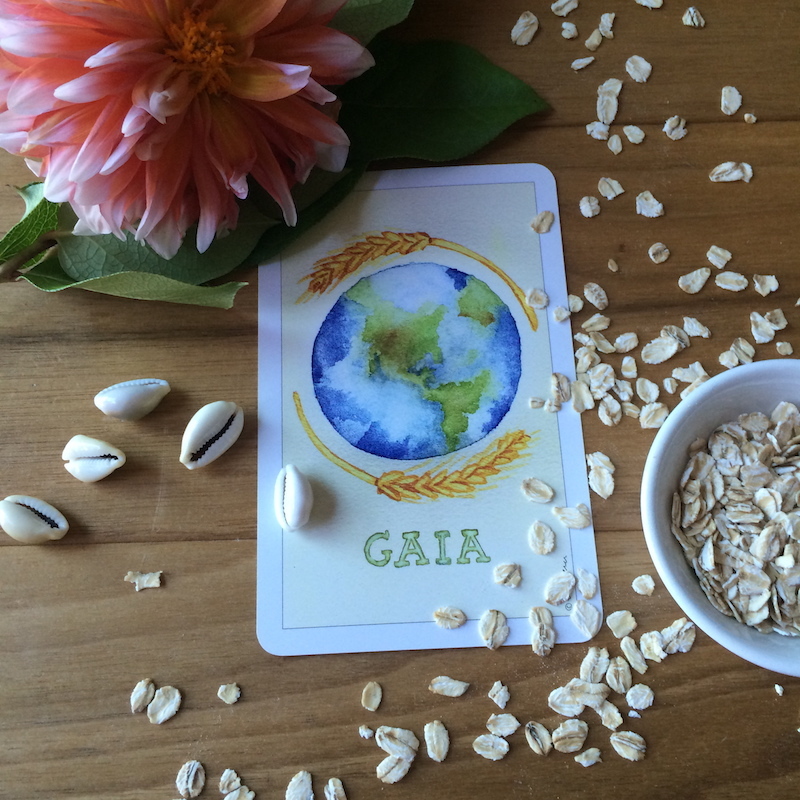 While this is not an oracle card training per se, because participants will engage deeply with the Seeds of Wisdom themes while developing their intuitive capacities, graduates will be qualified to provide Seeds of Wisdom readings and will receive my blessing to call themselves certified Seeds of Wisdom oracle readers. I will host several optional gatherings in addition to the monthly meetings. They will be aligned with the seasons (for example the equinoxes and the summer solstice) and provide opportunities for building skills and for community deepening. If you would like more than the 4 quarterly mentorship sessions that are included in the Wisdom Program, we can create a monthly meeting rhythm for you instead at a special discounted rate that’s just for Wisdom Program participants. “There is really no adequate way to describe the transitions I’ve gone through since working with Elka on an individual basis and also as part of her Wisdom Program. “Prior to starting the Wisdom Program I had been feeling a strong thirst to deepen and develop my personal spiritual practice and step into a place of confidence and authority in this realm. “The Wisdom Program is everything and more than I could have ever dreamed. “This group opened up my eyes to a whole new way of seeing the world and myself. “Joining the Wisdom Program is truly an act of self love! I’m so grateful and overjoyed to have found Elka and the Wisdom Program, especially during a time when I was searching for ways to renew and deepen my connection to Spirit. Since the start of this program, I’ve learned that strengthening this connection is closely intertwined with getting to know myself more deeply and unabashedly. I’ve learned to trust my own intuition and innate wisdom, rather than always looking outwards for guidance and answers. I feel more comfortable with the unknown and have been able to navigate through challenging situations with more ease and even playfulness! I feel more connected to the cycles in nature and the Universe, and know that I am not separate from them. I can access my creative power and recognize the Divine within myself. I find the structure of the Wisdom Program to be particularly supportive to my spiritual growth. Every month, with it’s new theme, is an invitation to look at myself and the world with a different perspective. The weekly assignments — that feel much more like gifts than homework — encourage you to explore the monthly theme in more detail through activities like art making, creating your own ritual, self reflection through writing or connecting with nature. 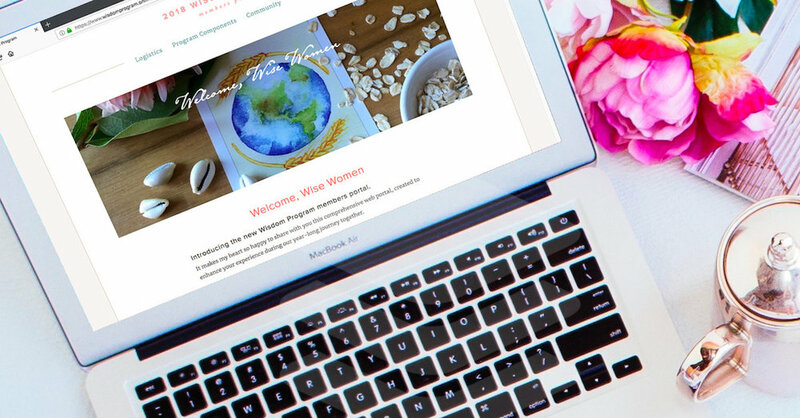 Monthly meetings and weekly phone calls gave me the heart-filling experience of knowing what it’s like to be part of a magical community made up of amazing, supportive women. The quarterly mentorship calls with Elka are phenomenal and transformative. She has the unique ability to distill and communicate what’s most vital and relevant to your spiritual growth. She can articulate the most subtle feeling or nebulous thought into something crystal clear. With that clarity comes her elegant guidance, a brilliant and potent blend of intuition, practical suggestions, energy work and deep wisdom. As you can see, the Wisdom Program is a substantial experience. It is big magic… that comes with a big commitment. I encourage you to check in deeply with yourself before stepping into the commitment. Take the possibility of this year-long experience to your existing spiritual practice for consideration. How do you use your existing spiritual tools for discernment? Do a reading about it using the Seeds of Wisdom online oracle. You can do that here. Ask your dreams to provide some insight as to whether this is the year to sign up. 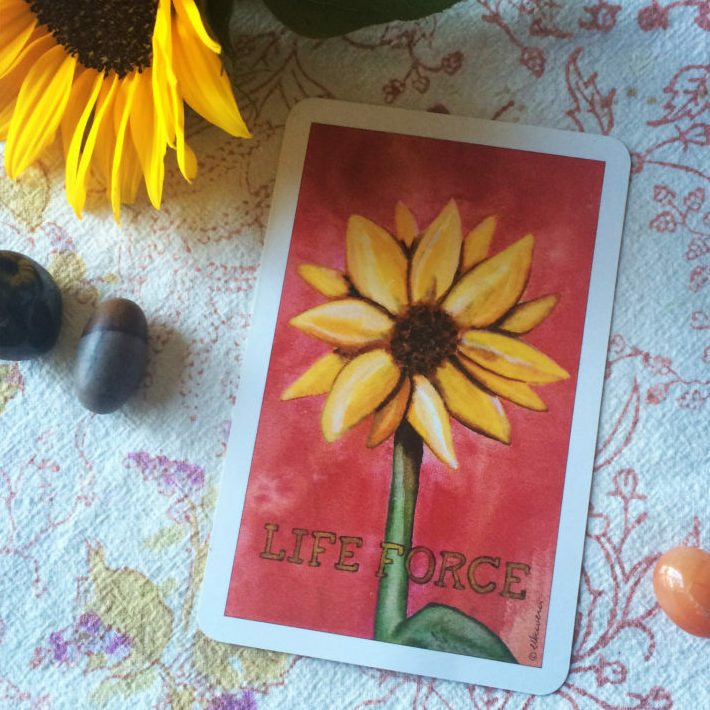 Use flower essences to help you connect with your inner wisdom. Ask your local apothecary to blend you a dosage bottle with these essences: Cerato, Scleranthus, Iris, Sage, and Star Tulip. set up a discernment call with me. We’ll talk about what you’re hoping to gain from this path and about any concerns you may have. And if we’ve never worked together before, we’ll get a feel for each others’ energy. It is my joy and honor to share this journey with you.